The ACT Government is providing free off-peak and all day weekend bus travel for ACT Seniors Card holders as part of Seniors Week, starting on Monday through to Sunday 27 March. ACT Chief Minister Jon Stanhope says the MyWay ticketing system will be programmed not to charge ACT Seniors Card holders during Seniors Week. "Since MyWay was rolled out to seniors in February, more than 10,100 applications from seniors have been processed," he says. But it won’t be necessary to have a MyWay card to get free travel this week around Canberra. "To encourage participation in the myriad of Seniors Week activities, holders of an ACT Seniors Card are entitled to free travel during off-peak travel times on weekdays between 9am and 4.30pm, and after 6pm," Stanhope says. Travel will be free all weekend long over the Seniors Week finale on 26-27 March. And seniors who apply for a MyWay card by this Friday, 25 March, will have $10 free travel pre-loaded onto their card. 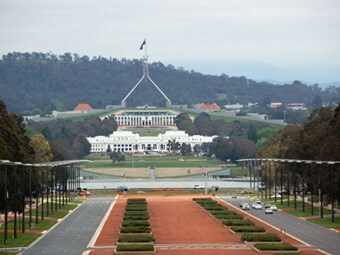 "Getting around Canberra by bus is now even easier," Stanhope says. "The ACTION bus fleet includes 138 easy access buses, which are equipped with a ramp, a wide front entrance and space to accommodate two wheelchairs or walkers." Bus routes featuring easy-access buses on weekdays include Blue Rapid Routes 300, 312, 313, 314, 315, 318, and 319 and Red Rapid Route 200 which travels between Gungahlin Market Place and DFO in Fyshwick and Route 900 on the weekends. Stanhope says Canberrans aged 75 or older were also entitled to free travel on Action buses when they presented their Gold Card. "Gold Card holders can travel on ACTION buses for free all day, every day."